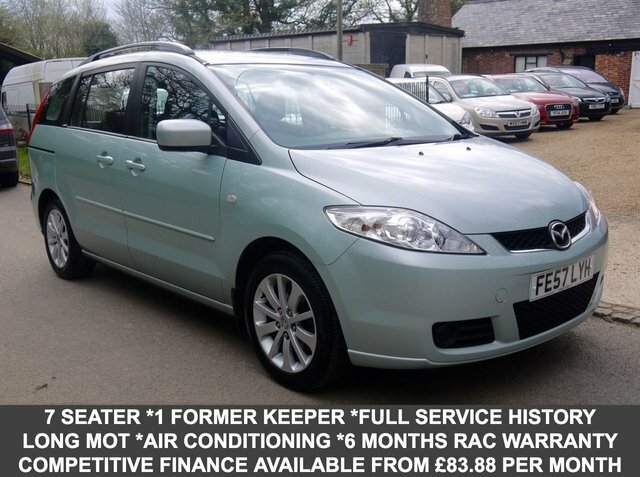 A stylish MPV with plenty to offer, the Mazda5 enjoys rather quirky styling, a spacious and flexible interior and is lots of fun to drive. Rear sliding doors make accessing the model's interior a breeze and will make loading the car a lot simpler in tight spots. There's space for seven and the rear seats can be folded flat to crate a large amount of storage space when not in use. Why not come and test drive one of the used Mazda5 cars for sale in Billingshurst today. Target Cars is a leading supplier of quality used vehicles and a member of our team will be more than happy to provide advice when required.